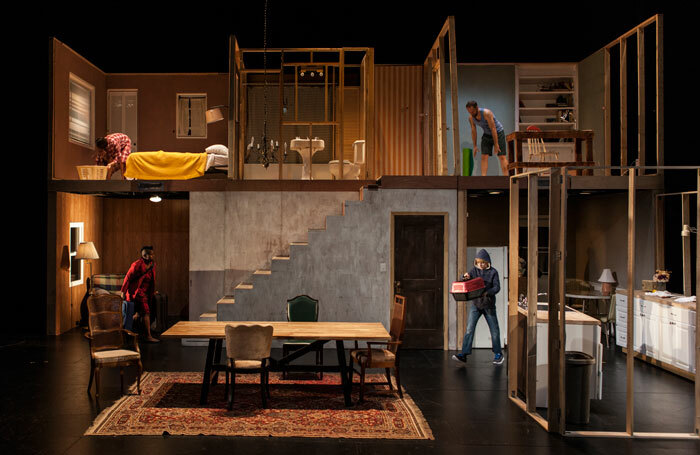 In Geoff Sobelle’s intricately choreographed and designed show, a house is constructed on stage. The production begins with Sobelle stapling plastic sheeting to a large wooden frame. Soon a two-storey structure starts to take shape, complete with a kitchen, a study and a bathroom. Once completed the house begins to fill with people. One by one they materialise, until the house feels alive. At first these people simply go through their daily routine: morning showers, late-night embraces, the endless folding of laundry. There’s a sense of echo and overlap in these scenes, of all the small stories a house soaks up over the generations. 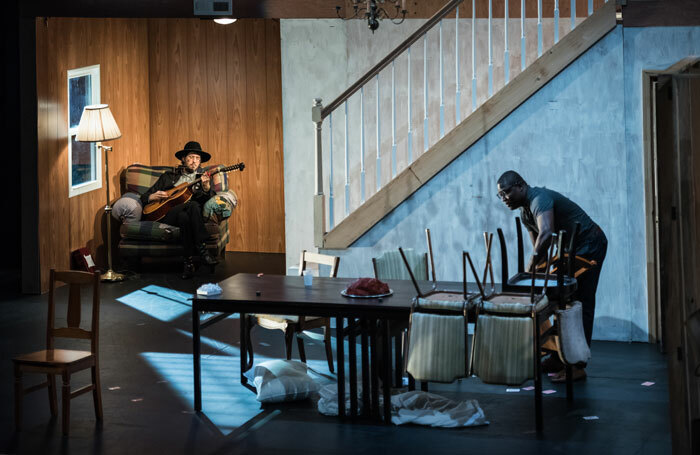 Though there’s little dialogue, through meticulous stagecraft and Lee Sunday Evans’ warm, pictorial direction, we are presented with a collage of human experience: birth, death and everything in between. 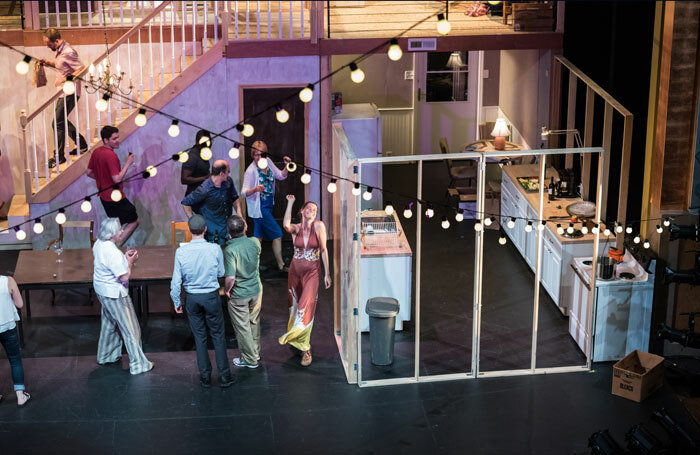 Gradually the theatre itself becomes an extension of the house: a welcome is extended to the audience and though the show only has a core cast of seven, by the end of things the stage is full of people as weddings and graduations are enacted, and people dance slowly with one another in the background. 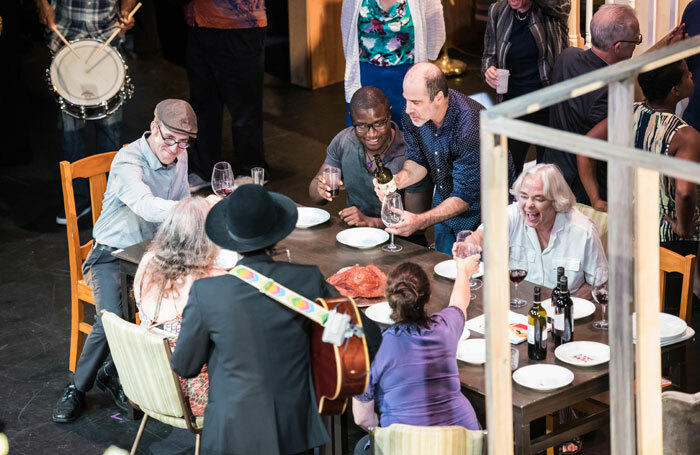 The quieter moments – the sight of the sun slowly rising through the window, wonderfully lit by Christopher Kuhl – are just as striking as the cacophony of later scenes in which hundreds of mini-stories collide with one another and a brass band explodes on to the stage. Someone is made to dress up as santa and a miniature grim reaper can be spotted among the revellers. The use of original music performed live by Elvis Perkins can feel a little syrupy at times and the show never really explores what it means when a home ceases to be a source of comfort and security to its inhabitants, but it remains an often magical, meditative piece on what a home can be.